Study background: Canine Ehrlichiosis is an infectious disease caused by bacteria from the Anaplasmataceae family, infecting monocytes, platelets, and polymorph nuclear cells. The disease can affect dogs at any age and causes a great variety of clinical signs and hematological changes. Treatment for canine Ehrlichiosis includes oral doxycycline for at least 28 days to several months, depending on each dog individual responses to the treatment. Prolonged treatments appear to be related to adverse collateral effects at the gastrointestinal level. We designed this study for evaluating the frequency of gastrointestinal tract injuries and clinical signs before and after treatment with oral doxycycline of dogs suffering from canine Ehrlichiosis. Methods: In a descriptive longitudinal study, a group of working dogs that rested seropositive for canine Ehrlichiosis (n=19) received oral doxycycline (10mg/kg/24h/28days). Dogs were evaluated by clinical exam, endoscopic gastro-duodenoscopy performed under general anesthesia, a sampling of a biopsy and it’s processing of histopathological evaluation and detection of Helicobacter spp., and clinical follow up during treatment and at 30 days after treatment was finished. Results: Diarrhea was the most frequent clinical sign, showing a positive correlation between the age of the dog (P<0.05). The most common histopathological finding was edema of the gastric and duodenal mucosa, which tended to increase at day 30 after treatment finished (P=0.12). The presence of Helicobacter spp., tended to increase in patients after treatment finished (P=0.12). Conclusion: No significant changes of gastric mucosa were evidenced after oral treatment with doxycycline, whereas the presence of Helicobacter spp., in gastric mucosa trend to reduce at day 30 after treatment. Finally, the significant correlation between doxycycline treatment and age of patient suggest an adverse outcome of this treatment schedule on older patients. Canine Ehrlichiosis (CE) is a disease of frequent occurrence nowadays, and epidemiological studies are showing its high prevalence and high seropositivity. Among those that stand out, seropositivity between 49.3% and 100% for Grenada and Peru, respectively, between 2006 and 2007 in dogs with clinical signs compatible with infection by Ehrlichia canis [1,2]. In Brazil in 2007, it was reported a prevalence of 46% in dogs by using PCR in samples harvested from dogs with clinical suspicion of the disease . Date from tropical countries is controversial: No evidence of Ehrlichia canis was found in blood smears , seroprevalence ranged between 45.8% and 92.9% of patients when using ELISA [5-7], whereas its frequency ranged between 40.6% and 68.75% using PCR [8,9]. Ticks of the Ixodidae and Dermacentor families transmit CE, including Rhipicephalus sanguineus, Dermacentor variablis , and the black-legged tick Ixodes scapulari, vector of Anaplasma phagocytophilum [11-13]. Canine Ehrlichiosis exhibits variable and unspecific symptoms according to the phase of the disease, varying from an acute symptomatic phase to a subclinical phase in which symptoms disappear. In the chronic phase, more unspecific and multi system clinical symptoms appear, including continuous weight loss, weakness, depression, arthritis, renal failure, and pneumonia; neurological symptoms such asataxia, convulsions, and coma; and clinic-pathological changes including pancytopenia, monocytosis, and changes in coagulation factors [11,14,15].Oral doxycycline is the antibiotic choice for the treatment of CE  exhibiting advantages over other tetracycline’s, such as greater distribution toward tissues, increased enteral absorption, in addition to its broad anti microbial spectrum [16,17]. Currently, treatment with oral doxycycline for 28 days is the protocol for treatment of dogs affected by CE [15,18]. However, this treatment harbors gastrointestinal side effects by pharmacological properties of the antibiotic and the prolonged time required for treatment of CE [19-21], resulting in anorexia, vomiting, and diarrhea . Until now, there are no reports of prospective studies designed for evaluating the outcome of dogs treated with doxycycline and the relationship of the outcome with its previous clinical phase. Poor clinical assessments of treated dogs or no use of enough diagnostic procedures for the evaluation of the outcome of the gastrointestinal tract in treated dogs are problems to be solved [22,23]. The objective of this work was to compare the histopathological findings in the gastric mucosa of working dogs seropositive for Ehrlichia canis before and after treatment with doxycycline. This work was a descriptive longitudinal study approved by the Institutional Board for Animal Experimentation (CICUA in Spanish) from CES University, Medellin, Colombia (Act # 2, February 25, 2013). This study met the requirements of Chapter IV of Act 84 of 1989 in addition to Title III, Chapter VI of Act 576 of 2000, of the Republic of Colombia. In this study, we established the sample size by convenience (n=55). Nineteen out of 55 dogs tested positive for Ehrlichia spp., or Anaplasma spp., as confirmed by serology (ELISA) using the Snap 4DX from IDDEX kit, according to the manufacturer's instructions. Sensibility and specificity values of the test were 96.2% (95% IC: 90.1%-98.8) and 100% (95 IC: 98%-100%), respectively, for detection of antibodies against Ehrlichia canis; and 99.1% (95% IC: 96.5%-100%) and 100% (95% IC: 98%-100%), respectively, for detection of antibodies against Anaplasma phagocytophylum . For all dogs, age and weight were older than eight months of age and greater than 20 kg, respectively, with no pre existing chronic diseases or clinical symptoms of sickness, without receiving oral medical treatments within the last month. Females were not currently pregnant. All dogs were working dogs owned by a private security company in Medellin city. The risk factors considered for dogs to suffer from CE were chronic stress and tick infestation . Dogs with positive results for antibodies against Ehrlichia canis and Anaplasma phagocytophilum received medication with 10-mg/kg/day doxycycline p.o. for 28 days. Precise recommendations were given to dog´s handlers for providing the dog with their complete treatment and avoiding any other oral or parenteral medications, such as multi-vitamins, antibiotics, anti-inflammatory drug medications, or mucosal protectors that could interfere with the formulated protocol. A blood sample was taken to each dog by puncture of the cephalic vein for blood testing including hemoleukogram, serum chemistry, and renal profile. Blood parameters tested were red and white cell counts, Alanine Aminotransferase (ALT), Alkaline Phosphatase (ALP), serum creatinine, and Blood Ureic Nitrogen (BUN). For endoscopy, dogs received premedication with 0.01-0.05 mg/kg I.M. Acepromazine, and induction of anesthesia with 2-5 mg/kg I.V.1% Propofol. Once under premedication, each dog was intubated with a tracheal catheter with caliper size ranging from 5-9 mm depending on weight of the dog. Anesthesia was maintained with 1-2% Isoflurane using inhaled anesthesia according to individual requirements for reaching the anesthetic plane, maintaining the same protocol for all patients. The endoscopic procedure was performed, using a Pentax video endoscopy. The grossmacroscopic exam evaluated the stomach and duodenum, under the responsibility of the same veterinarian for avoiding bias in sampling and data recording. Biopsy samples consisted of a 2×2 mm sample of the gastric and duodenal mucosa obtained with a biopsy punch that was immediately fixed in 10% buffered formalin at a 10:1 volume-to-size ratio and sent to the laboratory for histopathological evaluation. Samples were keptunder fixation solution for 12 to 36 hours, then prepared on paraffin blocks. Afterward, microtome cuts of 3 to 5 microns were taken, mounted in glass slides and processed under standard conditions using Autotechnicon. The processed slides were stained with Hematoxylin and Eosin (H&E). The microscopic evaluation was performed by the same Pathologist (Rodrigo Restrepo® Pathology Laboratory, Medellin, Colombia). Microscopic findings were read according to the method of semi-quantitative estimate under the standardizing criteria for microscopic gastrointestinal evaluation proposed by WSAVA International. It makes a more accurate sample assessment taking into account the distribution of layers of the digestive tract and the relevant microscopic changes, for generating a common starting point for histopathological evaluation . Similarly, the diagnosis and quantification of Helicobacter spp., in microscopic slides were conducted by the modified Sydney method . The same Pathologist read and diagnosed all histopathological slides as mentioned above. Clinical exams were practiced for all dogs included in the study at time zero, during the period under antibiotic treatment and at days 30 and 60 after treatment finished. All dogs were subjected to a clinical exam including the evaluation of physiological parameters, clinical signs, body condition score and blood sampling for hematological diagnosis during four weeks. Clinical gastrointestinal signs such as retching, reflux, vomiting, or diarrhea, were considered as complications of antibiotic treatment. Data were recorded in an Excel spreadsheet (Microsoft Office©). Data obtained from endoscopic and histological evaluations of gastric mucosa was evaluated by descriptive statistics. It was verified the skewness and kurtosis of data. A Student t-test was conducted on the results of the histopathological evaluation. For qualitative variables, a chi-squared test of independence was performed to determine the effect of treatment. Data were analyzed using the STATA10© software (Stata Corp LP, Texas, USA) with a confidence level of 95.0% (p<0.05). Nineteen out of 55 dogs (34.5%) tested positive for Ehrlichia canis or Anaplasma phagocytophylum , of which males and females were 12 (63.16%), and 7 (36.84%), respectively. The average age and weight of patients were 57.16±23.26 months, and 32.26±5.48 kg, respectively. Breed distribution was 11 Rottweiler, 4 Labradors, 3 German Shepherds, and 1 Golden Retriever. Seventeen out of 19 dogs tested positive solely for Ehrlichia canis, and two dogs tested positive for both Ehrlichia canis and Anaplasma phagocytophylum . Blood parameters were evaluated in 15 out of 19 dogs because four dogs were excluded from the study (two dogs died, and two dogs were excluded by decision of the Shelter). White-blood cells and red-blood cells counts, ALT, ALP, serum creatinine, and BUN did not statistically significant differed (P>0.05) between seropositive versus seronegative dogs (Data not shown). 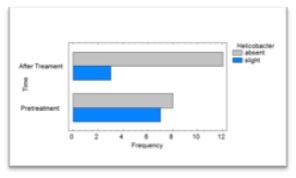 Findings on samples taken on days 0 and 30 after treatment Similarly, did not significantly differ between time, except the Mean Corpuscular Volume (MCV) which significantly increased at day 30 compared to day 0 (P <0.05). Retching, reflux, vomiting, or diarrhea, did not significantly differ between gender of dogs, nor between time zero and day 30 after antibiotic treatment. Seven out of 15 dogs (46.7%) developed adverse reactions to doxycycline treatment: Three dogs (20%) (One female and 2 males), two dogs (13,3%) (One female and one male), and four dogs (26,6%) (One female and 3 males), presented retching, vomiting, and diarrhea, respectively. Only a dog showed retching and vomiting concomitantly. Gastrointestinal signs did occur more frequently (although not statistically different) in patients with a Body Condition Score (BCS) of 3 (1 to 5 scale) compared to other BCS degrees. The frequency of gastrointestinal signs was significantly higher in adult dogs: Three dogs presented retching (Two dogs between 3 to 6 years and one dog within 1 to 3 years old), and two dogs presented vomiting (Both dogs between 3 to 6 years old). Also, dysentery signs were significantly higher in patients from 1 to 3years old (One dog), and 6 to 9 years old (Two dogs) (P<0.05) (Figure 1). The most frequent gross macroscopic changes observed in gastric mucosa were edema, discoloration, friability, bleeding, erosion, abnormal content, dilation and hyperemia, and vascularization, with no statistically significant differences between lectures performed before and after doxycycline-treatment (P>0,05) (Figures 2-4). The most frequent microscopic changes found both at days zero (before treatment) and day 30 after treatment, including the presence of Intraepithelial Lymphocytes (IEL), and the presence in lamina propria of lymphocytes, eosinophils, and neutrophils, gastric follicular lymphoid hyperplasia, lymphoplasmacytic infiltration in duodenum, chronic duodenal inflammation, and the presence of Helicobacter spp., The presence of Helicobacter spp., tended (P=0.12) to decrease in patients after treatment, with a frequency reduction from 40 to 26.67% (Figures 2-5). On the contrary, edema tended (P=0.12) to increase in the mucosa from 13.33% before treatment to 30% 30 days after treatment (Figures 6&7). In this study, we reported the incidence of macroscopic and microscopic findings in gastric mucosa of dogs with CE treated with oral doxycycline. Doxycycline is widely used as an antibiotic choice for the treatment of several pathological conditions . We also found that treatment with oral doxycycline for long periods of time was not significantly related to macroscopic or microscopic findings in the gastric and duodenal mucosa. Conversely, treatment with oral doxycycline caused adverse gastrointestinal effects in agreement with previous studies [16,17]. It is suggested that the undesired side effects were caused by central stimulation of doxycycline in the autonomous nervous system. Accordingly, in the current study it was observed that when administering doxycycline as a treatment for CE during 28 days, there were no statistically significant alterations of the gastric mucosa, although a tendency to present edema of the mucosa was observed between days 0 and 30 of treatment. Nevertheless, these changes were classified as mild. Although the aim of the present work was not to evaluate the sensitivity of Helicobacter to doxycycline, we incidentally found beneficial effects of treatment on diminishing the presence of the bacteria. For instance, we observed a trend in decreasing the presence of Helicobacter after treatment, with a reduction from 40 to 26.67% in these patients, in agreement with previous reports in which 20 mg/kg/day doxycycline treatment lasted 21 days [26,27]. Among the adverse signs evaluated in the present study, diarrhea was the only one that showed differences between age ranges: In dogs in the range of 6 to 9 years old and dogs in the group of 1 to 3 years old. On the contrary, we did not find these differences amongst dogs of the group from 3 to 6 years old. These findings are in agreement, at least partially, with previous research conducted by Schulz et al., , in which authors investigated the side effects associated to the use of doxycycline in 386 cases, where 7% of dogs developed diarrhea during treatment. Authors reported that age was a risk factor for the occurrence of the above mentioned intestinal effects . In the present study,we reported for the first time in our city the incidence of doxycycline adverse effects in dogs. Considering that doxycycline is the choice treatment of CE, and the disease is one of the most common in our practice, it is essential to consider its adverse gastrointestinal effects in canine patients. This study confirms that, despite the absence of statistically significant alterations of gastric mucosa, the risk of adverse effects manifestation must be considered as reported elsewhere [17,19,28]. In this study, none of the patients showed reflux-related signs during treatment, contrary to the report by Tutuian et al.,  in which authors found that oral doxycycline treatment promoted gastroesophageal reflux and led to esophagitis . In our study, mucosal edema of mild intensity was observed during the endoscopy procedure, which showed a tendency to increase when comparing between pre- and post-treatment times, increasing from 13.3 to 30% of cases. Treatment of dogs suffering from CE with doxycycline for prolonged periods causes microscopic and macroscopic effects of mild severity on the gastric mucosa, including a slight increase of mucosal edema. Moreover, treatment with doxycycline of working dogs suffering from Ehrlichia infection proved to be favorable for the elimination or reduction of Helicobacter spp., in agreement with the reports by Anacleto et al.,  and Morales et al., . On the other hand, diarrhea was the main adverse effect related to this treatment, directly correlated with the ageof the dog [26,27]. We provide evidence about alterations of the gastrointestinal mucosa, clinical signs, and response to antimicrobial treatment, as evidenced by gastrointestinal endoscopy, histopathology of gastrointestinal biopsy, and clinical follow-up of dogs treated with doxycycline for 28 days. Interestingly, we did not find statistically significant changes of the gastric mucosa after antimicrobial treatment in dogs, and incidentally found a beneficial effect of doxycycline for reducing the presence of Helicobacter spp., in the gastric mucosa, showing a trend to decrease at day 30. Finally, we found a positive correlation between the adverse effect of treatment evidenced as dysenteric episodes and the age of the dog. The authors declare that they have no competing interests, since there was no financial reward for any sort of participation nor from the CES University or by the participating company in the study; in the same way, the brand name of the drug used was not revealed to avoid commercial bias with regard to the pharmaceutical producer house. The authors thank the CES University for its funding of the activities of INCA-CES research group. Special thanks to Juan Maldonado-Estrada (University of Antioquia) for critically reading the manuscript. Vinasco J, Li O, Alvarado A, Diaz D, Hoyos L, et al. (2007) Molecular evidence of a new strain of Ehrlichia canis from South America. J Clin Microbiol 45: 2716-2719. Yabsley MJ, Mc Kibben J, Macpherson CN, Cattan PF, Cherry NA, et al. (2008) Prevalence of Ehrlichia canis, Anaplasma platys, Babesia canis vogeli, Hepatozoon canis, Bartonella vinsonii berkhoffii, and Rickettsia spp., in dogs from Grenada. Vet Parasitol 151: 279-285. Santos F, Coppede JS, Pereira AL, Oliveira LP, Roberto PG, et al. (2009) Molecular evaluation of the incidence of Ehrlichia canis, Anaplasma platys and Babesia spp., in dogs from Ribeirão Preto, Brazil. Vet J 179: 145-148. Álvaro ME, Álvaro EG, Guillermo RC (2000) Prevalencia de Ehrlichia canis en la ciudad de Montería, Córdoba, Colombia. Rev MVZ Córdoba 5: 20. Parrado M, Vargas F, Hernandez G, Vergara H (2003) Asociación de los resultados de una prueba serológica (ELISA) Y frotis sanguíneo en caninos con sintomatología compatible de c. Orinoquia 7: 6-11. Silva-Molano RF, Sánchez-Ucrós N, Loaiza-Echeverri AM (2008) Reporte de presentacion de Ehrlichia canis en muestras sanguineas de caninos en la ciudad de Cali, Colombia. Vet Zootec 2: 27-31. González H, Loaiza J (2012) Medición de la concordancia en el diagnóstico entre la prueba de Elisa y el cuadro hemático mediante un estudio paraclínico-epidemiológico de la Ehrlichia canis. Rev Colomb Cienc Anim 5: 47-51. Vargas-Hernández G, André MR, Faria JL, Munhoz TD, Hernandez-Rodriguez M, et al. (2012) Molecular and serological detection of Ehrlichia canis and Babesia vogeli in dogs in Colombia. Vet Parasitol 186: 254-260. Rojas-Triviño A, Rueda-Hurtado A, Díaz-Molano DM, Mesa-Cobo NC, Benavides-Montaño JA, et al. (2013) Identificación de Ehrlichia canis (Donatien & Lestoquard) Moshkovski mediante PCR anidada. Veterinaria y Zootecnia 7: 37-48. The Center for Food Security and Public Health (2005) Ehrlichiosis. OIE Collab. Cent. Iowa State University, Coll Vet Med 1: 1-8. Barber RM, Li Q, Diniz PP, Porter BF, Breitschwerdt EB, et al. (2010) Evaluation of brain tissue or cerebrospinal fluid with broadly reactive polymerase chain reaction for Ehrlichia, Anaplasma, spotted fever group Rickettsia, Bartonella, and Borrelia species in canine neurological diseases (109 cases). J Vet Intern Med 24: 372-378. Neelakanta G, Sultana H, Fish D, Anderson JF, Fikrig E (2010) Anaplasma phagocytophilum induces Ixodes scapularis ticks to express an antifreeze glycoprotein gene that enhances their survival in the cold. J Clin Invest 120: 3179-3190. Ravnik U, Tozon N, Smrdel KS, Zupanc TA (2011) Anaplasmosis in dogs: The relation of haematological, biochemical and clinical alterations to antibody titre and PCR confirmed infection. Vet Microbiol 149: 172-176. Skotarczak B (2003) Canine Ehrlichiosis. Ann Agric Environ Med 10: 137-141. McClure JC, Crothers ML, Schaefer JJ, Stanley PD, Needham GR, et al. (2010) Efficacy of a doxycycline treatment regimen initiated during three different phases of experimental Ehrlichiosis. Antimicrob Agents Chemother 54: 5012-5020. Chambers P (2011) Rational use of medicines. Vet Rec 169: 226-227. Schulz BS, Hupfauer S, Ammer H, Sauter-Louis C, Hartmann K (2011) Suspected side effects of doxycycline use in dogs-a retrospective study of 386 cases. Vet Rec 169: 229. Neer TM, Breitschwerdt EB, Greene RT, Lappin MR (2002) Consensus statement on ehrlichial disease of small animals from the infectious disease study group of the ACVIM. American college of veterinary internal medicine. J Vet Intern Med 16: 309-315. 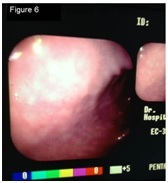 Akbayir N, Alkim C, Erdem L, Sakiz D, Sökmen HM (2002) A case report of doxycycline-induced esophageal and gastric ulcer. Turk J Gastroenterol 13: 232-235. Botana-López LM, Landoni MF, Martín-Jiménez T (2002) Farmacología y terapéutica veterinaria. McGraw-Hill/Interamericana, Madrid, Spain. Pg no: 1-5. Maddison JE, Page SW, Church D (2008) Small animal clinical pharmacology. [2nd edition], Saunders/Elsevier, Edinburgh, New York, USA. Pg no: 584. Hernández CA, Gallón G, Restrepo LF (2007) Análisis de biopsias gástricas endoscópicas en caninos. Rev Colomb Cienc Pecua 20: 250-259. Washabau RJ, Day MJ, Willard MD, Hall EJ, Jergens AE, et al. (2010) Endoscopic, Biopsy, and histopathologic guidelines for the evaluation of gastrointestinal inflammation in companion animals. J Vet Intern Med 24: 10-26. González M (2011) Evaluación de dos tratamientos antibioticos anti-ricketsiales en una poblacion de perros de trabajo de la ciudad de Medellin con Ehrlichiosis canina. (Tesis Maestria). Universidad CES, Medellín, Colombia. Dixon MF, Genta RM, Yardley JH, Correa P (1996) Classification and grading of gastritis. The updated Sydney System. International workshop on the histopathology of gastritis, Houston 1994. Am J Surg Pathol 20: 1161-1181. Anacleto TP, Lopes LR, Andreollo NA, Bernis-Filho WO, Resck MCC, et al. (2011) Studies of distribution and recurrence of Helicobacter spp., gastric mucosa of dogs after triple therapy. Acta Cirurgica Brasileira 26: 82-87. Morales A, Arrieta D (2012) Presence of Helicobacter like organisms after twenty-one days of treatment in asymptomatic dogs: A preliminary study. Arch Venezolanos Farmacol Terap 31: 34-36. Gutierrez L, Velazco ZH, Vazquez C, Vargas D, Sumano H (2012) Pharmacokinetics of an injectable long-acting formulation of doxycycline hyclate in dogs. Acta Vet Scand 54: 35. Tutuian R (2010) Adverse effects of drugs on the esophagus. Best Pract Res Clin Gastroenterol 24: 91-97. Figure 1: Frequency distribution of diarrhea in dogs suffering from CE treated with doxycycline, according to the group of age of the dogs. Figure 2: Microscopic field of antral gastric mucosa with a diagnosis of chronic superficial gastritis without intestinal metaplasia, atrophy or dysplasia: Intraepithelial lymphocytes 1/3 (mild); lymphocytes in the lamina propia 2/3 (moderate). A. In lamina propria, no eosinophils, neutrophils, or lymphoid follicular hyperplasia was found. Gastric mucosa presents the characteristic superficial and foveolar mucous-secretory epithelium without structural abnormalities neither evidence of metaplasia or dysplasia (Hematoxylin & Eosin, 4X). B. Focal inflammatory reaction found in the foveolar mucous-secretory epithelium, with predominant mononuclear infiltration (black arrow) (Hematoxylin & Eosin, 10X). Figure 3: A. Corporal antral gastric mucosa with a diagnosis of inactive chronic superficial gastritis without intestinal metaplasia, atrophy or dysplasia, showing lymphocytes in the lamina propria and plasma cells 1/3 (mild). There were not found intraepithelial lymphocytes, eosinophils or neutrophils in the lamina propria and gastric lymphoid follicular hyperplasia. B. White arrow: Presence of Helicobacter 1/3 (mild) (Hematoxylin & Eosin, A: 100X. B: 100X). Figure 4: Microscopic findings in duodenal mucosa diagnosed as moderate chronic nonspecific inflammation (White arrows in figure A), negative for malignancy. In this figure, it can be observed a duodenal mucosa with no dysplasia although accompanied by a moderated lymphoplasmacytic infiltrate in the lamina propria (asterisks in figure B). Neither malignancy nor dysplasia was observed (Hematoxylin&Eosin, A: 40X. B: 100X). 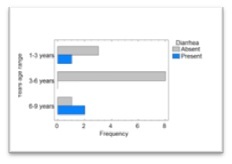 Figure 5: Bar chart for the presence of Helicobacter in the gastric mucosa of dogs suffering from CE treated with doxycycline, before and after treatment. Figure 6: Previous-to-treatment Endoscopic assessment of dogs suffering from CE treated with doxycycline. It was not found edema, discoloring, friability, bleeding, erosion or ulceration. Slight gastric content and normal expansion were observed. Figure 7: Post-treatment Endoscopic assessment of dogs suffering from CE treated with doxycycline. The following abnormal findings were observed: Edema, mild discoloring, friability, bleeding, absence of erosion or ulceration and moderate content with normal expansion. Citation: Giraldo AM, Hernandez CA, Gonzalez-Dominguez MS (2018) The Incidence of Histopathological Lesions in Gastric Mucosa and Gastrointestinal Signs in Dogs Suffering from Canine Ehrlichiosis Undergoing Treatment with Doxycycline: A Descriptive Longitudinal Study. J Anim Res Vet Sci 2: 011. Copyright: © 2018 Giraldo AM, et al. This is an open-access article distributed under the terms of the Creative Commons Attribution License, which permits unrestricted use, distribution, and reproduction in any medium, provided the original author and source are credited.